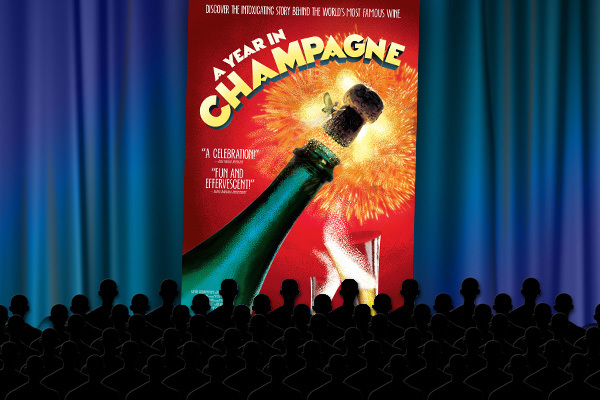 There now are lots of Champagne houses and growers producing bubbles which are somewhat difficult to score. It is good to keep in mind that there are 4 main grape growing regions: 1. La Montagne de Reims (most northerly with firmer pinot noir), 2. La Vallee de la Marne (middle slopes from Ay beyond Chateau-Thierry for all 3 grape varieties but pinot meunier is prominent), 3. La Cote des Blancs (classy chardonnay on mainly east facing slopes from Epernay to Sezanne), 4. La Cote des Bars & Mongueux (warmest most southerly area near Troyes & Aube river favouring pinot noir). However the best vineyards tend to have the highest chalk content but there is no real overall classification of all the vineyards except for rating 17 Grand Cru villages at 100% & 38 Premier Cru ones between 90-99%. Still the majority are only 80-89% so it is important to try and find out where the grapes in your Champagne bottle are being grown. More information is being supplied both on the back label and the websites but it still can be elusive to determine. There are approximately 15,000 growers averaging small holdings of only 1.5 hectares with larger co-ops also involved. Therefore it becomes most important to rely on your own nose and palate to judge the quality of the bubbles in your glass. Also there is bottle variation as there in no assemblage later on but each bottle starts out uniquely and stays as such during lots of changes throughout production and bottling. 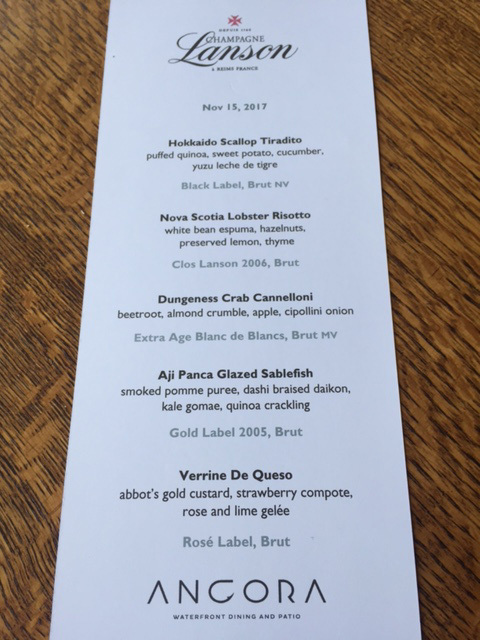 On November 15, 2017 a Lanson Champagne dinner was held in Vancouver at the innovative Peruvian influenced Ancora restaurant with Enguerrand Baijot their personable and so knowledgeable Director for North America. The menu courses matched well the style of all 5 different Champagnes tasted. Lanson claims to be the oldest family firm plus fourth oldest Champagne house founded in 1760 by Francois Delamotte who celebrated their 250th anniversary in 2010. They pride themselves in avoiding malolactic fermentation (MLF) used by many producers to soften the malic acid and to allow the Champagne to show more forwardly. This is an important current issue as with global warming more grapes are being picked with higher Ph and lower acidity levels. Many houses now are rethinking using automatic MLF and are checking acidity levels of all incoming grapes more closely before deciding. However Jancis Robinson in an article in vinesmag.com Annual 2017/18 tasted the 5 last vintages of Lanson Noble Cuvee Blanc de Blancs (2002-1989) and because the 1997 and more recent vintages were not yet ready noted that “A 20-year-old wine that is still a bit too tart to enjoy seems a bit of a commercial mistake to me.” Note one also could argue that it is a good sign of a quality wine with fresh balancing acidity that will reward even more complexity with further bottle aging. 1. BLACK LABEL BRUT NV – 50% pinot noir, 35 chardonnay, and 15 pinot meunier plus 60% Grand & Premier Cru on lees for 3 years (minimum by law is 15 months) with 25-30% reserve wines (used to be only 15-20%) and lower 8 g/l dosage Brut which is 65% of their total Champagne production. Chef de Cave Herve Danton (replaced 27 year winemaker Jean-Paul Gandon in 2015) has allowed some softening MLF on his current blends of Black Label but shows still their consistent fresh clean crisp pure fruit styling. 2. 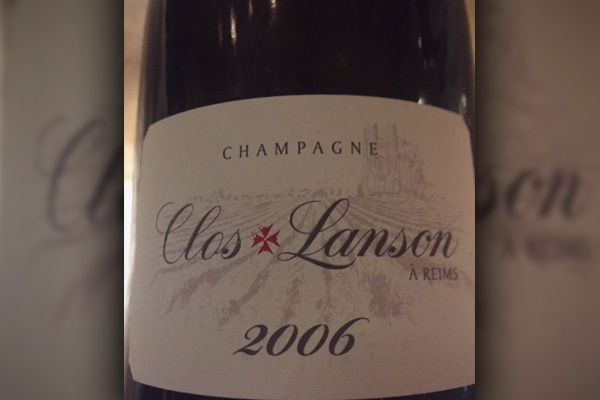 CLOS LANSON 2006 BRUT – First vintage of 100% organic chardonnay blanc de blancs unique one hectare walled Clos site in Reims next to their cellars since 18th century on top of a hill facing south on very chalky soil (planted in 1960 & 1986). Warmer here so harvest grapes from older vines earlier using only the first pressing vinified partly in wooden barrels. 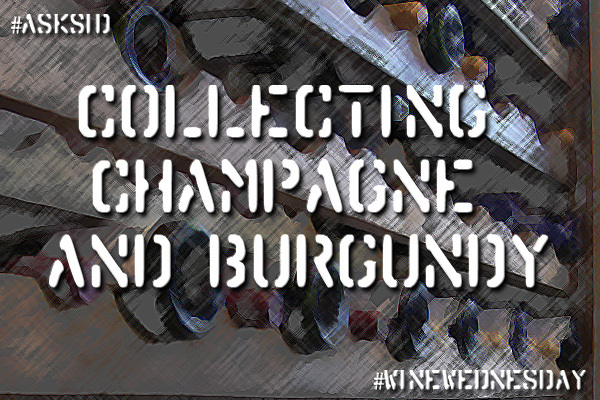 Only 7870 bottles (and 320 magnums) produced using 7-9 years on lees with low 3 g/l dosage Brut Nature shows remarkable fine delicacy and elegance as a perfect complex aperitif on its own. Worked with a delicious lobster dish here too. Very impressive prestige Champagne indeed! No rush with that amazing Lanson balance again. 3. EXTRA AGE BLANC DE BLANCS BRUT MV – All chardonnay only from three exceptional vintage years (2003, 2004, 2005) and 100% Grand Cru & Premier Cru in this blend so qualifies as MV compared to Black Label only with NV. Long lees aging of 7-9 years of full bodied yet citrus flavours is underrated quality of excellent value. Will age further. 4. GOLD LABEL 2005 BRUT – First vintage releases are 2002 & 2005 of 51% pinot noir & 49 chardonnay. Made to age but 2005 is already quite charming. The one to cellar is their next release of 2008 (an outstanding year) which is very promising for very long aging. Could turn out like those old Red Label (no longer made) treasures like the 1969 I enjoyed so much recently. Recommend Gold Label 2008 on release. 5. ROSE LABEL BRUT – 53% pinot noir, 32 chardonnay & 15 pinot meunier with 50-60 crus and 8 g/l dosage. Pioneer of the Rose style has salmon colour with some red fruits showing with the wine added from Bouzy. Classic. Admire the direction Lanson are going. Check them out. Have you tried their quality bubbles recently? Have you ever tried Lanson Champagne?